As investors turn more and more to purchasing real estate, especially commercial properties, the competition for the best deals becomes more and more aggressive. Triple net lease investment properties, one of the most lucrative property types in today’s fluctuating market, often can’t be located through traditional methods. Commercial real estate agents are an option, but a wealth of resources exists today to help investors identify properties themselves. Commercial real estate typically is not listed in regional multiple listing service databases, however a number of excellent resources exist online to help identify commercial investment properties. On a local basis, many daily newspapers are still used to list commercial properties for sale, depending on the region and local custom. Local daily or weekly business journals may also be good sources for locating properties. The internet version of both types of publications may carry additional property listings not found in the print version of the papers. Because some fee is typically required to place ads in newspapers of this type however, property sellers may elect to try other, less expensive methods of listing their properties first. The popularity of Craigslist.com has exploded in the past two years as a source for real estate listings. In most markets, the seller does not have to pay to list their property on Craigslist and most potential buyers turn to this site as an option when searching for investment properties today. Because it is both free and easy to post on Craigslist, many sellers list their properties on this site first in an attempt to locate a direct buyer, especially those without real estate agents. The only significant disadvantage to searching for properties on Craigslist is that this site does not have any real search functionality other than general geographical zones and a keyword search tool. Consequently, the investor may have to weed through a large quantity of properties to find the best ones. Learn about Commercial Master Lease Options How to control, acquire or flip commercial investment property. 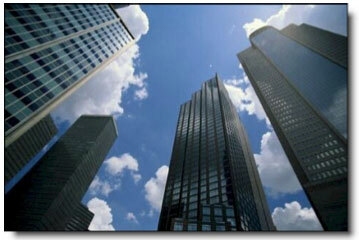 Several commercial internet sites exist today that are dedicated to commercial property listings. The most widely used is LoopNet.com. LoopNet requires a paid subscription to list properties, however they allow the user to perform basic search functions without cost or login. Although the increased functionality provided by the paid service may be helpful, most investors can locate property listings perfectly well using the free search functions. Most sellers of commercial property are familiar with LoopNet and use it to list their properties, making this an excellent source for the investor to utilize. Other commercial sites, similar to LoopNet, have emerged of late, including BizBuySell.com, CityFeet.com, and CommercialRealtor.com. Although these may not be as popular for seller listings, many buyers many not yet be familiar with these options, and the investor may be able to find high-quality properties with less competition. Although any one of these resources will serve the investor well in their search for triple net lease investment properties, using a combination of all of the above, depending on the specific location of the investor and the desired property, will yield the widest range of potential property opportunities, and allow the investor to make the most informed choice in their investment. Investor Services: For investors that also need assistance with finding off market deals, analyzing returns, bringing in partners and financing options Call Ideal Location, Inc. 312-433-9300 x 20 for one on one free investor services consultations.